After his graduation from the University of Agriculture, Faculty of Business and Economics in Brno he had gone through a military service. Then he worked in the field of agriculture as an economist from 1989-1992. Since 1993 he has applied himself to the profession of an auditor. In the beginning as an assistant auditor and later since 1995 as an auditor registered in the list of auditors maintained by the Chamber of Auditors of the Czech Republic. During his more than 10-year long practice he gained experience with audits of all kinds of legal entities including non-profit organisations. He specialises in the accounting methodology and tax advisory services. Since 1995 he has also been registered with the Czech Republic’s Chamber of Tax Advisers. Jiří Strnad, a graduate of the University of Mining Industry, worked as an accountant at the Lesna ZOO from 1993 to 1995. At the beginning of the year of 1995 he began to work as an assistant auditor and he has applied himself to the auditor profession since then. In 1996 he passed his examination in tax advising (Certificate No. KDPČR 2036) and since then he has also been working intensively as a tax adviser. Since 1995 he has been participating in many audits of financial statements and has been consulting tax issues with a large number of companies. He specialises in accounting methodology and tax advising especially in the field of corporate income tax and value added tax. 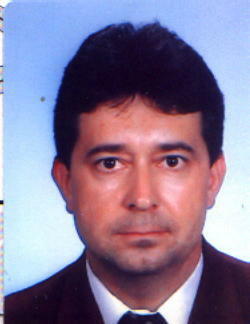 Nowadays he performs auditor activities and tax advising as one of the executives of AUDIT AND TAX, s.r.o. in Zlin. After his graduation from the Agricultural University of Brno and having gone through military service he worked from 1988 to 1994 in the field of agriculture and state administration, in the capacity of agriculturalist, and also worked as the Director of the Territorial Department of The Ministry of Agriculture in Zlin. Since 1995 he acts as a tax adviser and also as an assistant auditor. During his 10-year-long practice he has been cooperating with dozens of entities from natural persons to international corporations. His main business activity consists in the assisting to the auditor, also the examination of companies’ accounting with the subsequent tax returns compilation. He specialises in corporate income tax, personal income tax, value added tax, road tax, real estate tax, inheritance tax, gift tax and capital transfer tax. After finishing her studies at the Commercial Academy in Zlin and maternity leave she worked for SVIT state enterprise, where she had been working until 1996. Since 1996 she has been working as an assistant auditor and an accountant. During her experience in assisting to the auditor she got acquainted with the accounting of corporations, limited companies, allowance organisations, bankrupt companies, and natural persons’ accountancy. Being an accountant she has mastered both double-entry bookkeeping and tax records. After finishing her studies at Commercial Academy in Uherske Hradiste, she worked as an accountant for various trading companies during the years of 1995 and 1996. Then she was accepted for university studies, got her MSc degree. Since September 2003 she has been working as an assistant auditor in the AUDIT AND TAX, s.r.o. In 2006 she passed the tax adviser’s qualifying exams. Now she also applies herself to the tax consultancy specializing in the Corporate Income tax, the Value Added Tax, the Road Tax and accounting methodology. After finishing her studies at Commercial Academy in Otrokovice in 1997, she worked as an assistant, an invoice clerk and an accountant for various trading companies. Since 2003 she has been providing accounting consultancy, and she also keeps accounting records and a tax evidence system for some small-sized businesses. Since autumn 2005 she has been working as an assistant auditor in the AUDIT AND TAX, s.r.o. After finishing a secondary school in 1995, she entered the one-year-long programme of the full-time study of English at State Language School in Zlin. In 1996, after passing the English State Exam she left for the UK. In the school-year 1997-1998 she served at 14th-Primary School in Stipa as an English teacher (students’ age ranged 12–15). From 1998-2000 she worked as the assistant to the managing director. Her work included the provision of the communication between her company and VTEL Headquarter (USA), and other VTEL subsidiaries all over the world. She took an active part in videoconferences, translated business correspondence, guide books, promotional brochures, various reports and other documents. Since 2001 she has been with AUDIT AND TAX, s.r.o. where she works as an administrative assistant, translates auditor’s reports into English and also ensures communication with foreign clients.